East Africa is home not only to jungles and game parks but also to some of the world’s most beautiful beaches. As far as I have read, unlike the beaches in other parts of the world such the United States or India, the beaches in East Africa ooze totally a different culture that reflects the Africans’ belief, lifestyle, and culture. The life in and around the African beaches are slow paced and quite relaxed. In addition, the food you get to eat in the coastal areas in East Africa is distinctly African with negligible influence of American or European cuisine. In this blog post, I will take you to 5 lovely beaches in various islands and islets of East Africa. 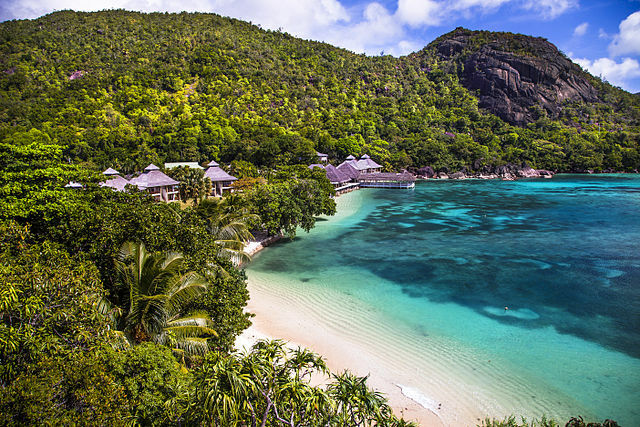 Seychelles would be on the bucket list of the majority of the ardent travelers and travel photographers in the world for its very beautiful beaches and coastline in East Africa. It is ranked high on the list of most beautiful islands in the world along with Hawaii, Bali, and Mauritius. 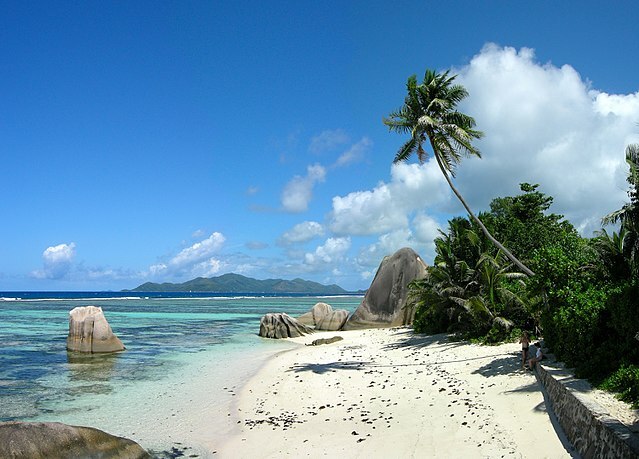 In order to visit the nearby islands in the Seychelles archipelago, you should head to Mahé, the largest of the islands and it is where the Victoria, capital of Seychelles is located. 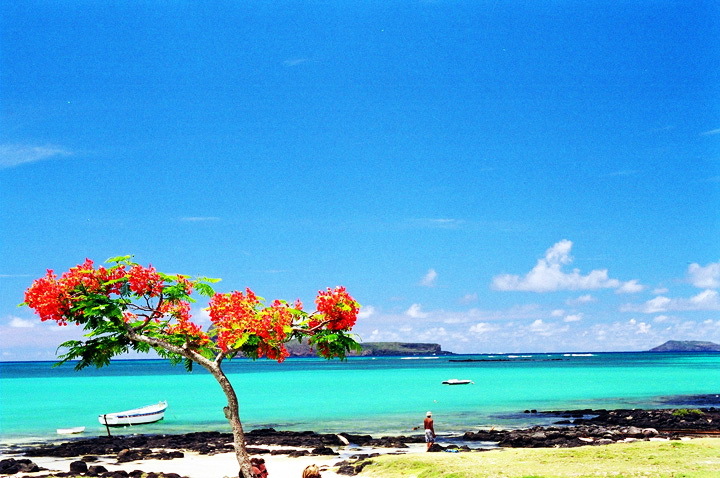 Mahé is a big tourist destination for its white powder sand beaches and its backdrop of lush hills. 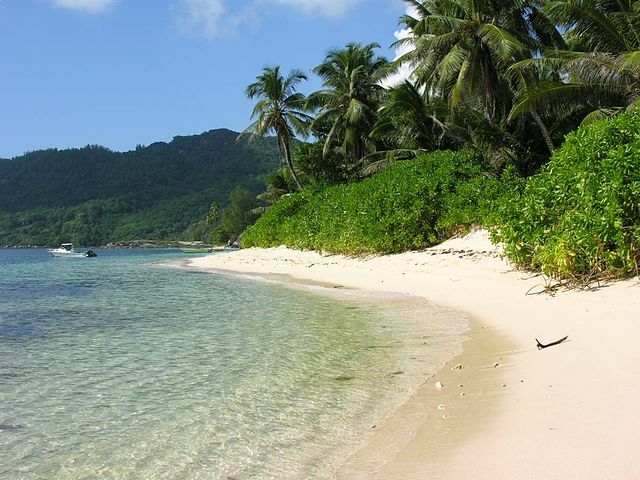 The two popular beachfront in Mahé is the Anse Takamaka and Beau Vallon. The name Zanzibar located in the Indian Ocean instantly reminds you the game parks in Tanzania whose culture and the way of life have enchanted me since my college days 5 decades ago. The people of Zanzibar are said to be innocent and thus very friendly. The beaches are white sand covered and the ocean water is a typical turquoise blue. There are a few islets that are inhabited only by the birds. The Nakupenda Beach in Stone Town is the most visited beach in Zanzibar archipelago. The sea water looks a lovely blue-green and surprisingly very calm in spite of frequent high and low tides. Huge whale sharks are spotted in the Zanzibar islands. A rare variety of monkey called Red Colobus Monkey attracts people of all ages. Other wildlife spotted in Zanzibar islands is the Sykes Monkey and Bushbabies also known as Galago. They look like large size squirrel. Rarely, the world famous Humpback Dolphins have surfaced above the ocean waters off Menai Bay. Turtle buffs also like to chase the sea green turtles in Nungwi beach. Kenya, the land of wild animals is the most visited place the world for seeing wildlife in their natural habitat. Off the Kenya coast lies the Lamu Island that is a part of Lamu Archipelago. You might have read about the Swahili people, an ethnic group that occupies several east and south-east African countries that include Kenya, Tanzania, Mozambique, Rwanda,, Burundi, Uganda, and the Congo. 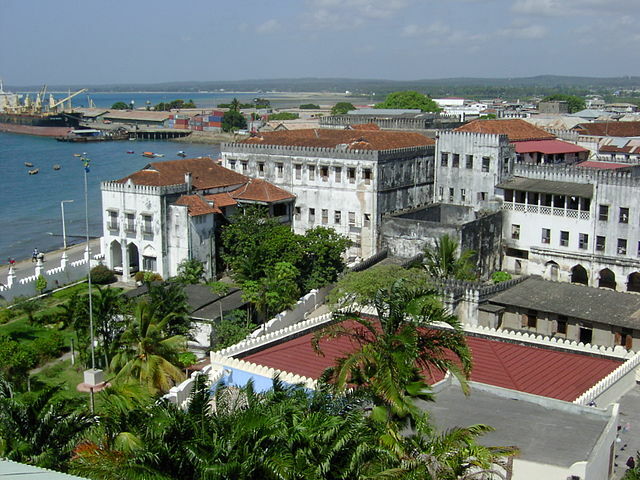 The important city in Lamu archipelago is Lamu Old Town. The first sightseeing attraction here is the houses of Swahili people. The entire settlement is built with coral stone and mangrove timber. Lamu is a peaceful beach getaway. The ocean blue is a sight to behold. 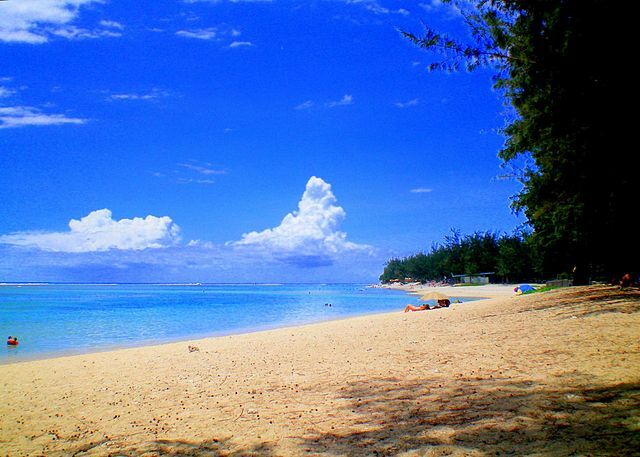 Snorkeling is the most pursued activity here because of the presence of coral reef. The nearby Kiwayu islet lures the beach lovers with its calm surroundings. 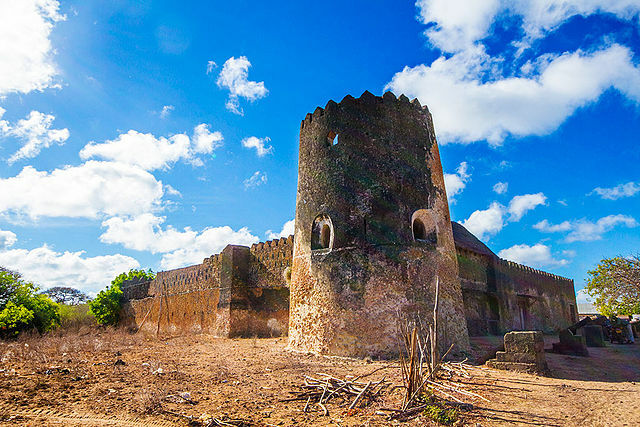 Other attractions include the dhow sailing to Manda island and Manda Toto island that are also part of the Lamu archipelago. The marine life in Lamu Island is an interesting mixture of sea turtles and whales. Among the sea turtles, you can identify the green, Hawksbill, Olive Ridley turtles. There are also the Dugongs ( a sea mammal), Dolphins, and Whales. The Greater Lamu Eco-region is known as a large breeding ground for the cute roseate terns, the aquatic bird with a white body and black head with the beak that has a lovely orange patch near the mouth. Ah, I forgot to mention the Shela Beach that is a laid-back beach front with a long beach. I know it is not in the most visited islands off the East African coast in the Indian Ocean but once you read further, you will wonder why you have missed it thus far in your life. The Réunion island (Formerly known as the Bourbon Island) is actually a French region and it is known to be an exceptionally beautiful piece land surrounded by the Indian Ocean on all its sides and lots of forested mountains inside. This gorgeous island has so much to offer to nature lovers in the form of breathtaking waterfalls, lush green forests that are home to some of the rarest birds and insects in the world that not even some of the wildlife encyclopedia have not listed. Some of the beaches in Réunion Island, East Africa sport black sand. Interestingly, the food in Réunion Island is a great mix of Indian, African, and French cuisine. There are several diving points in the island because of mountains. The marine life that is encountered by the divers includes Humpbacks, Dolphins, Squids, frogfish, and jawfish. Do you know they export rum and Vanilla apart from sugarcane? The ethnicity is a mixture of Hindu, Muslim, and Catholics.